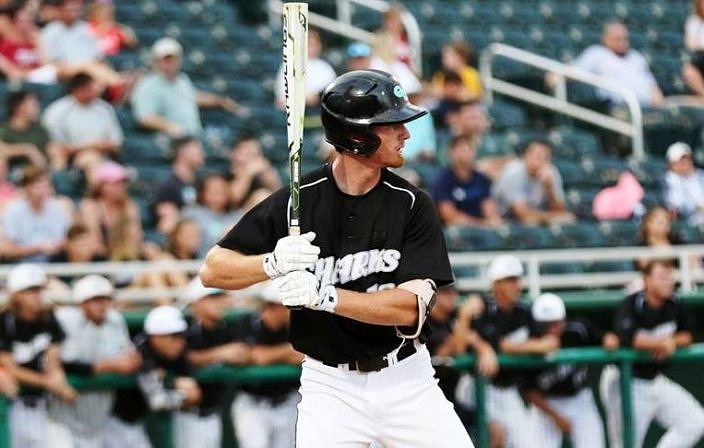 The journey for the 2017 Gulf Coast Sharks actually began right when last season ended. After the club missed the state playoffs for the first time by losing in the district semifinal, the returning seniors stepped up and said they don’t want to do that again. They took it upon themselves to lead the team and work for more. That drive took the club all the way to the state tournament, where the Sharks fell in a toughl, close battle with Tampa King. Senior left-hander Brian Lee delivered another outstanding performance to lead King to a 3-1 victory over Gulf Coast on Wednesday night, in the 7A semifinal at Hammond Stadium in Fort Myers. The Lions (18-10) move on to play in the state championship for the first time, after falling in the semifinals in 2010 and 2013. King will play Jacksonville Nease Thursday night to decide the 7A champion. As he has throughout the playoffs, Lee helped set the tone. He went the distance for the fifth straight start dating back to the start of the district tournament, as he improved to 11-3 in his final high school season. The southpaw allowed one unearned run on seven scattered hits, he did not issue any walks and he struck out three. King took control right away in grabbing a 2-0 lead in the top of the first inning. Dehreon Pressley singled on a high, infield chopper over the pitcher’s mound, and then advanced to third base when Addison Barger roped a double to left field. A wild pitch plated Pressley to put the Lions on the scoreboard, and Jamarcus Lyons followed with an RBI ground out to the shortstop. Sharks manager Pete Garcia felt giving up the lead early was key to King’s victory. When Gulf Coast (24-8) fell behind, the focus shifted to making the most of any runners on base against Lee. 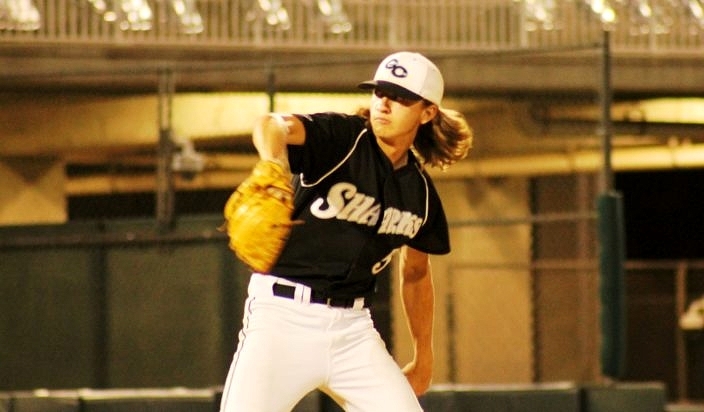 Sharks starter Niels Stone did his part in keeping things close and keeping his team in it, as he allowed two earned runs on three hits and three walks, and struck out seven in five innings. After a lengthy weather delay, Gulf Coast responded to cut the deficit in half with a run in the bottom of the second. With Weston Boling on first base after connecting for a single up the middle just before the delay began, Collin Camarigg reached on an error and Emil Valenzuela followed with an RBI single to left field that made it a 2-1 ball game. The Lions answered back in the top of the fourth. Lyons walked, Matthew Jernigan lined a single into shallow left field and Justice Thompson reached on an error that loaded the bases. Zarrian Brinson was then hit by an inside pitch to push a run across, before Gulf Coast starter Niels Stone picked up his third strikeout of the inning to minimize the damage. From there it was up to Lee, who continued working and holding the Gulf Coast offense at bay. He got stronger as the game wore on, mixing speeds with his fastball with a curveball that produced it’s sharpest bite in the seventh to help finish batters off. There was little doubt Lee was coming out of the game, as he had the confidence of his entire team.